When I pulled the Z-Edge T4 out of its box, I was thinking the company had made a mistake and sent me a digital camera instead. 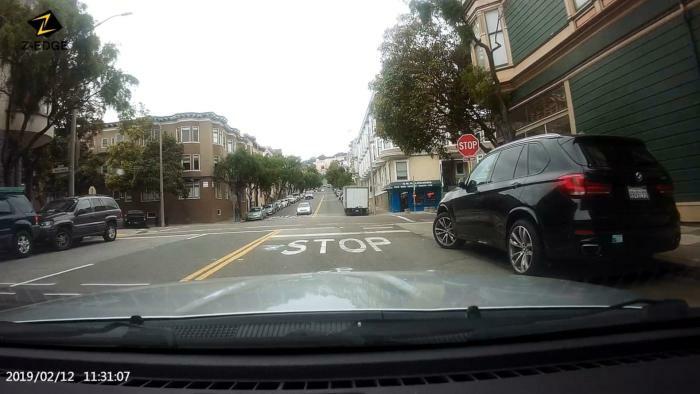 Most dash cams, capable or not, have a rather cheap feel. The T4, on the other hand, has the heft and feel associated with the object I mistook it for. 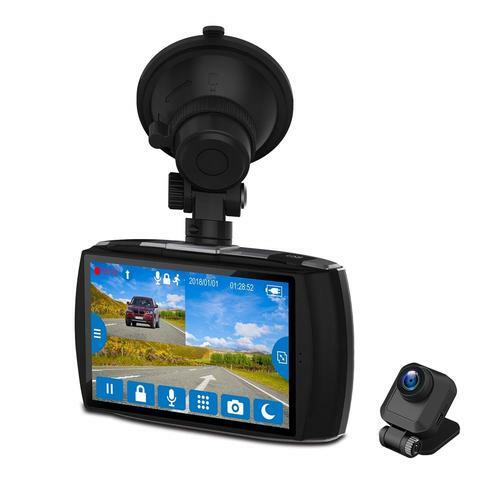 The T4 is also a very good dash cam with a super-handy 4-inch touch display and a 1080p rear camera. 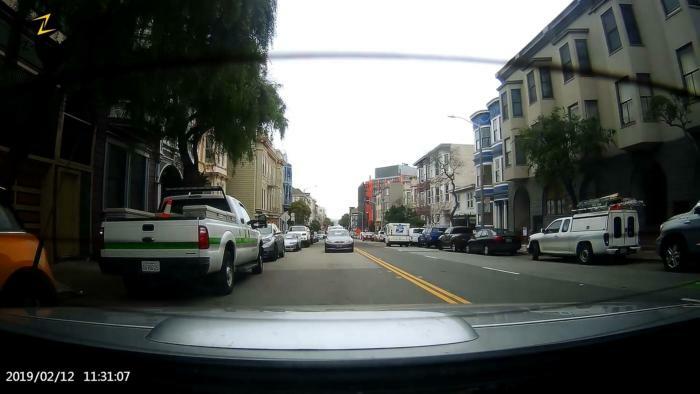 Put bluntly, it’s easily the classiest dash cam system I’ve reviewed. For $170 with a 32GB SD card? Sold. If you don’t need GPS. Dang. Gushing and consternation aside, the T4 is a somewhat large dark gray and silver camera, measuring approximately 4.5 x 2.5 x 1 inch at the lens. As mentioned, it has a huge 4-inch touch display that’s deftly responsive. On the top of the camera are the micro-USB power port and the mini-USB port for the rear camera. On the left side of the unit you'll find the SD card slot (up to 128GB) and the power button. That’s it. The touch display obviates the need for other buttons. The camera sports a 155-degree field of view, and max resolution is 1440p. You can step that down to save storage space if need be. Note: As to power, there are now OBD II to micro-USB cables available online for around $10, if you want to hardwire the T4 or any other camera without the hassle of splicing or tapping the wiring harness. The T4’s on-screen interface can’t match that of the PureCam for style, but it’s more efficient, with its large icons and a very well-organized menu system. It’s really a breeze, and with the nicely sensitive touch display—a joy to use. The camera also features a 180mAh battery, which was enough to keep it chiming in my backpack for a couple of weeks. Alas, the display won’t turn on while the camera isn’t plugged in, so I couldn’t turn off parking mode until I got to an AC outlet. Yes, there’s parking mode, where the camera will use its g-sensor to wake up and record what just woke it up. The 1080p rear camera is a plain lens on a small, squarish body, not quite as stylishly designed as its front counterpart. But where the front camera employs a suction mount, the rear uses semi-permanent adhesive tape. That means that here in the city, in an unlocked convertible (to avoid a slashed top), I had to remove the bolt and nut that attach the camera to the mount to assure it remained in my possession long enough to review. A bit of a pain, but doable. The T4 is warrantied for 18 months, though that doesn’t include the theft I was concerned about, and support is promised for life. But now to flesh out that bad news, i.e., the lack of GPS, which is a way of proving where incidents occurred if the video details are obscure, and therefore a feature we deem necessary for legal purposes. You might never need it, but then again, you might never need a dash cam, or a car. It’s also super-convenient for tracking your travels and landmarking highlights with mapping software. I’d give the T4 a pass if there were a way to add GPS, but there isn’t. No port, and as far as the company made me aware, no inline USB solution. The T4’s day, night and low-light captures are as good as they get. That may kill the suspense, but just look at them yourself, and you tell me if I have to rattle on any further. The T4 has a WDR (Wide Dynamic Range) setting which didn’t show here, but should enhance color for those times you’re simply capturing a view. Day captures are nicely detailed. The day capture above shows nice detail, and the stabilization, which you can’t see in a still photo, is also quite good. WDR (Wide Dynamic Range) is available, but wasn’t in use in this capture. The T4’s rear camera captures are better than some system’s front captures. The dark areas in the image above are from the overhanging trees and the close proximity of the window borders in my convertible. 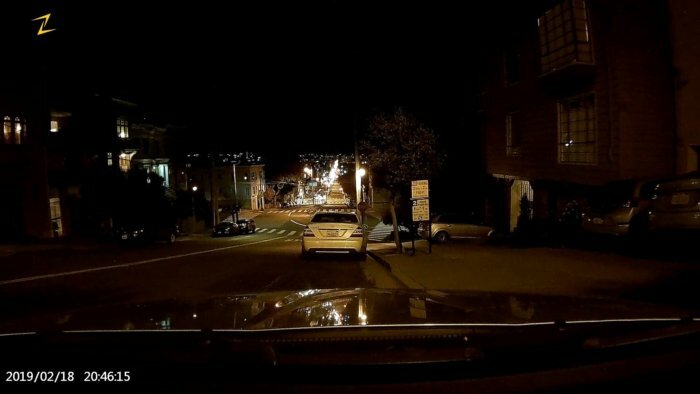 Low-light and night captures show nice detail, and are largely free from excessive headlight flare. Night captures and low-light captures are very nice, capturing lots of detail and not too much headlight flare. The image below shows how much detail will appear in your surroundings when you process the image brightness. Below is the rear camera, capturing much the same scene as shown in the T4’s forward camera’s captures. It’s not as detailed, but we’ve seen worse from front cameras. 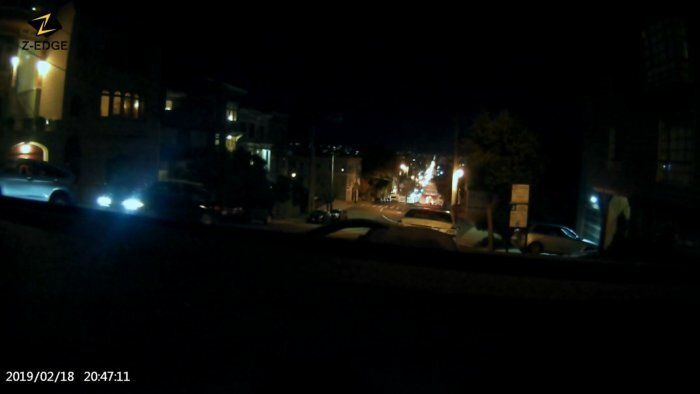 The night captures from the T4’s rear camera are good, though not as detailed as the front camera’s. I have little to no complaint about any of the video captured by the T4. Note that this was at 1080, not the 1440p it comes set at. The 1440p is slightly more detailed, but eats up storage space faster. The T4 was destined to be the number one dual-camera dash cam system on our charts until the lack of GPS intervened. 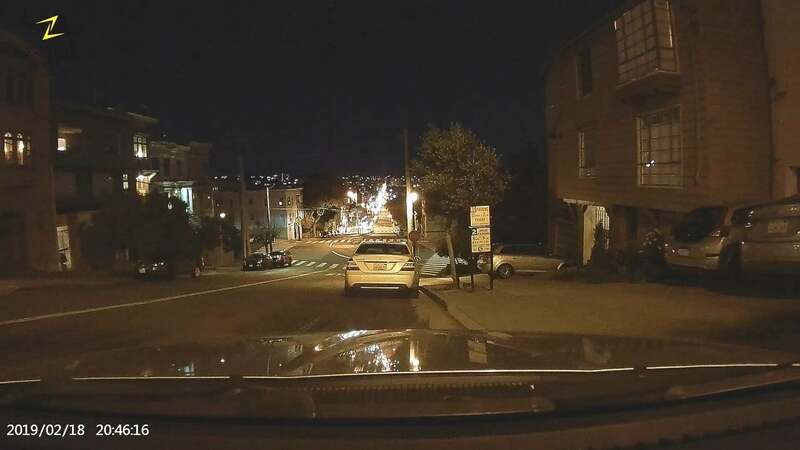 If that’s of no concern to you, then it’s certainly the classiest dash cam I’m aware of outside of the Owl and PureCam, and it beats them handily in the physical style and feel of the camera. For a standalone unit that doesn’t save video online, it’s darn near perfection. But the lack of GPS is a bit of a buzz kill. Again... Dang.